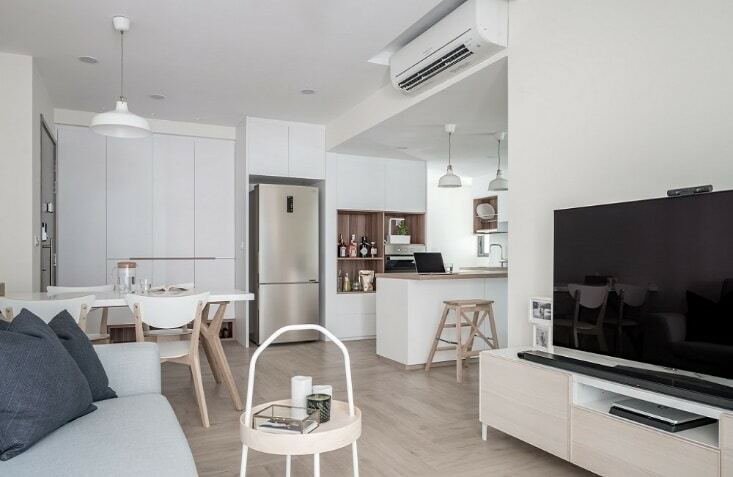 Scandinavian style interior designs always have an inherent coziness about them. This style is perfect for creating a comfortable retreat of a home where you can sit back, snuggle into the blankets and just while the day away. 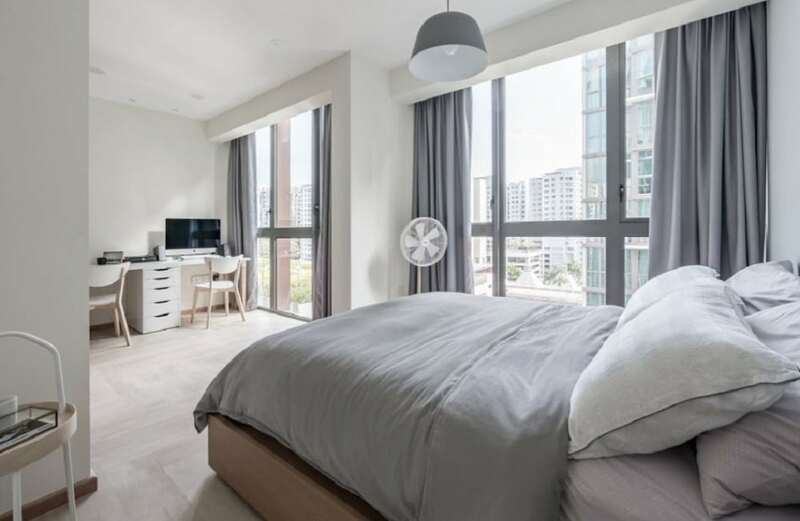 But Singapore is a country where summers are long and winters are short, so the cozy aesthetic of this style should definitely be altered to fit the climatic conditions of Singapore. So today, we’ll be featuring 5 cozy Scandinavian interiors with a modern twist. Visual and physical clutter arranged in a stylishly cozy manner is one of the most notable part of the Scandinavian style aesthetic. However, you can touch it up with a modern twist by using glass in the overall design. 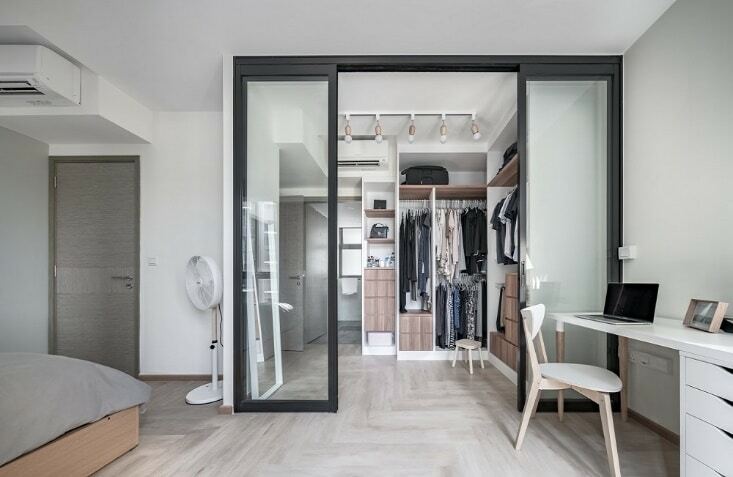 This closet design is the perfect example of how you can do so in a creative, stylish and trendy manner. The perfect Scandinavian style bedroom with a modern twist must combine frumpiness with a dose of sleek. This image shows a great example of how you can emulate comfort within the design without compromising the sleekness. The loft-style windows provide an incredibly urban backdrop and the fluffy bed takes center stage within the whole design. You need to infuse a sense of individuality in your Scandinavian style designs to keep the austerity of the sleek modern surfaces at bay. Furniture is the best way to do that. 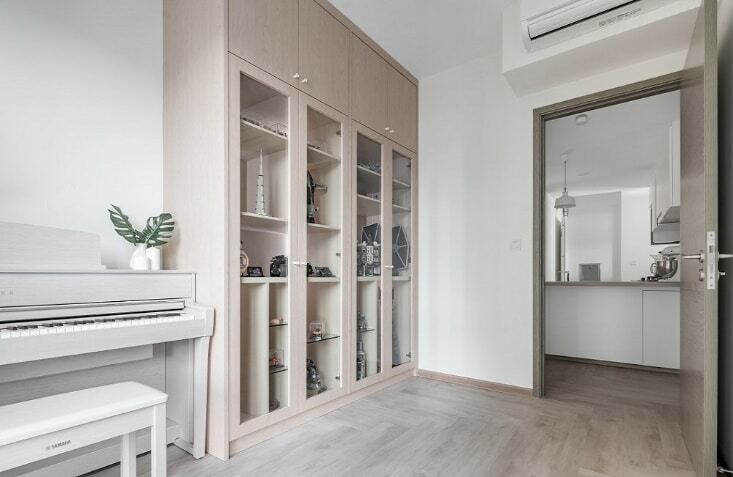 While half of the space can feature clean, minimal furnishings, the other half can feature some classy and unique pieces that would add a distinctiveness to your home ambiance. When it comes to shelving and cabinet designs, it can be hard to blend a cozy aesthetic with modern visuals. Here’s a great example of how you can feature an innate modern look in the execution, but clutter the insides with classy decoration pieces to emphasize the Scandinavian aspect of the design. The Scandinavian style is all about warm natural textures with a heavy dose of neutral tones. However, these finishes and textures are distinctly distressed and vintage in an authentic Scandinavian style interior design. 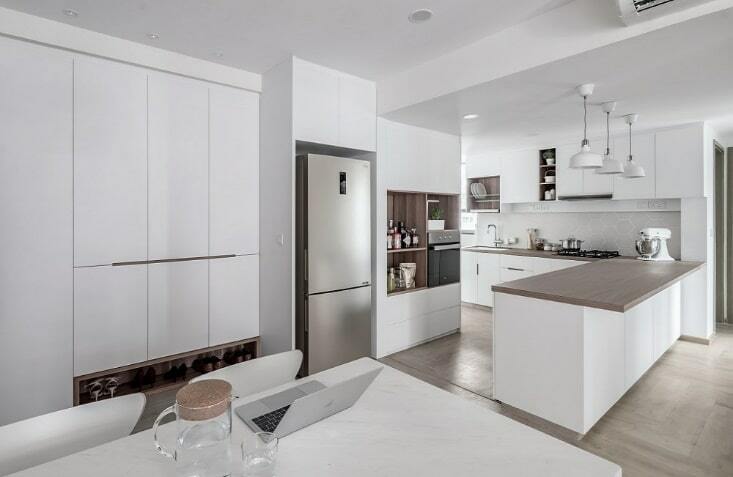 But you can definitely spice everything up with a modern twist by using modern materials with natural textures like laminates, floor tiles and more.